During 1937/38 J.S. 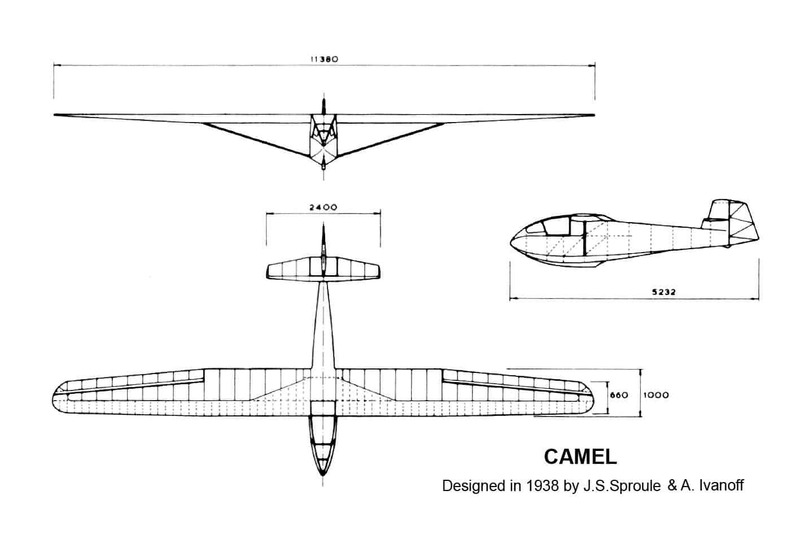 Sproule, along with his partner A. Ivanoff designed a wooden glider of conventional build, to be called the Camel. 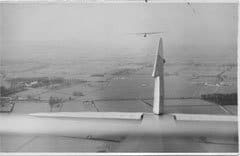 For ease of transportation and assembly, it was designed with folding wings, hinged from the rear spar, allowing the wings to sit flat on the side of the fuselage. 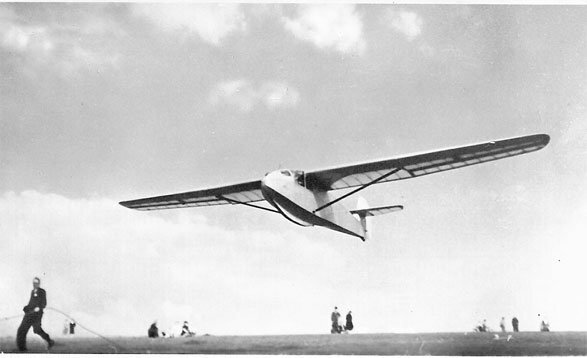 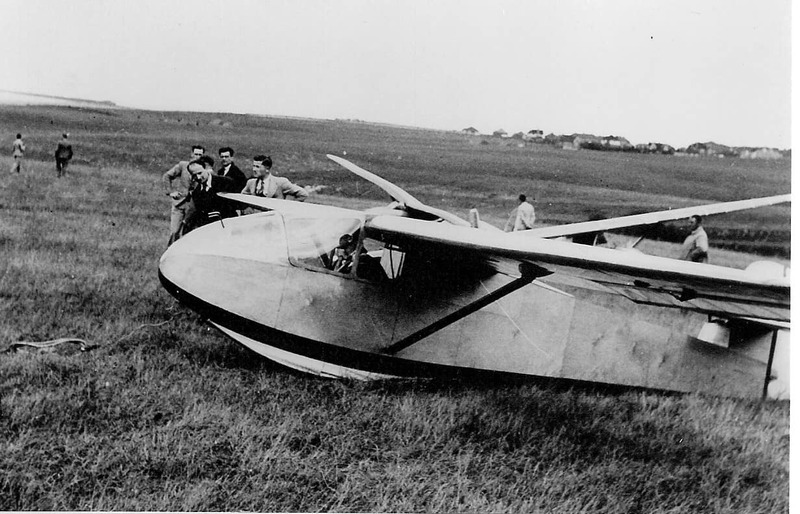 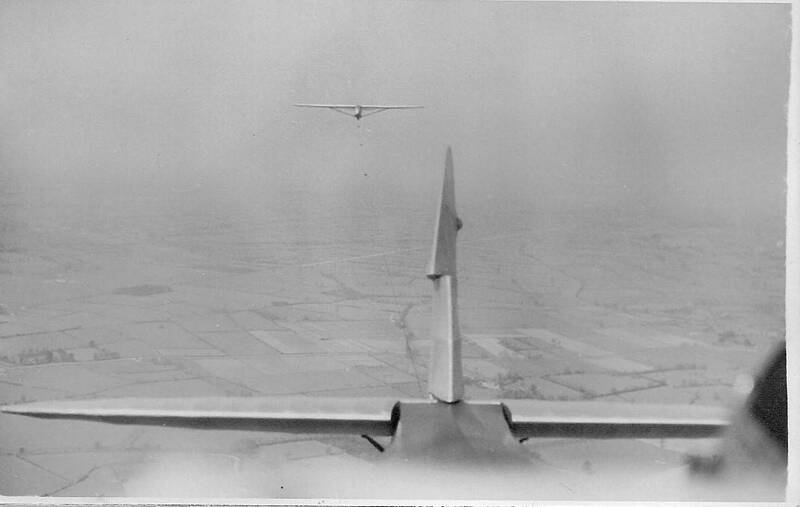 The glider was built in 1939 by Scott Light Aircraft Ltd., at Dunstable and was to be the only example. 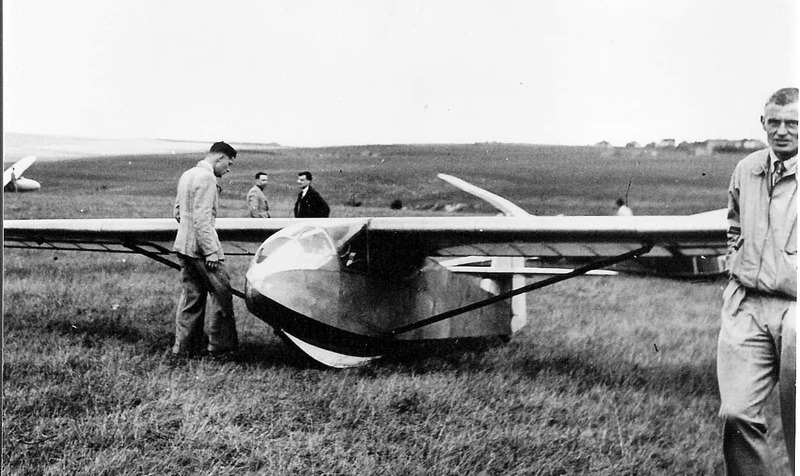 The first flight took place at Dunstable and although flight tests were completed, it was never issued with a Cerificate of Airworthiness. Following early aerotows, it was decided to increase the tailplane area. 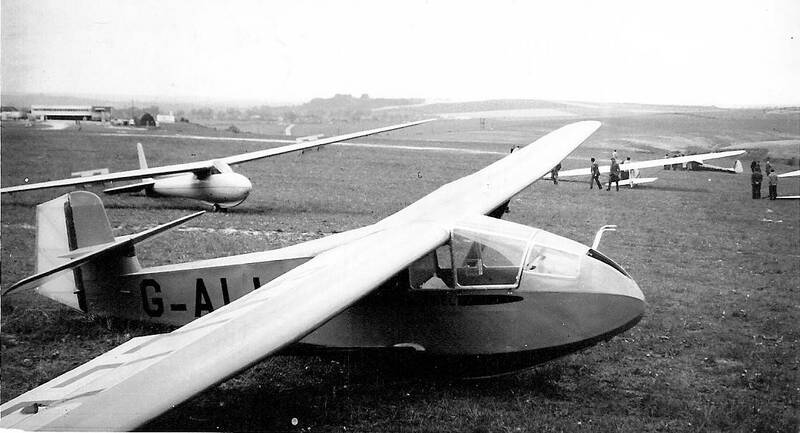 The Camel continued in service until 19th August 1951 when it crashed following a mid-air incident with an Olympia over Dunstable Downs. 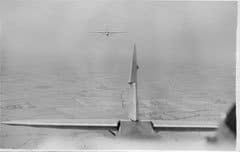 Wing area 3.7 lbs.fsq. 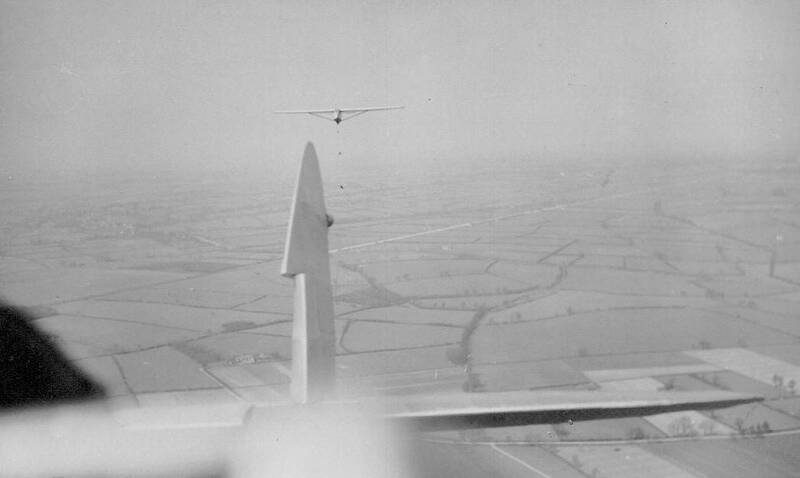 ft 10·21 sq.m. @ 35 m.p.h. 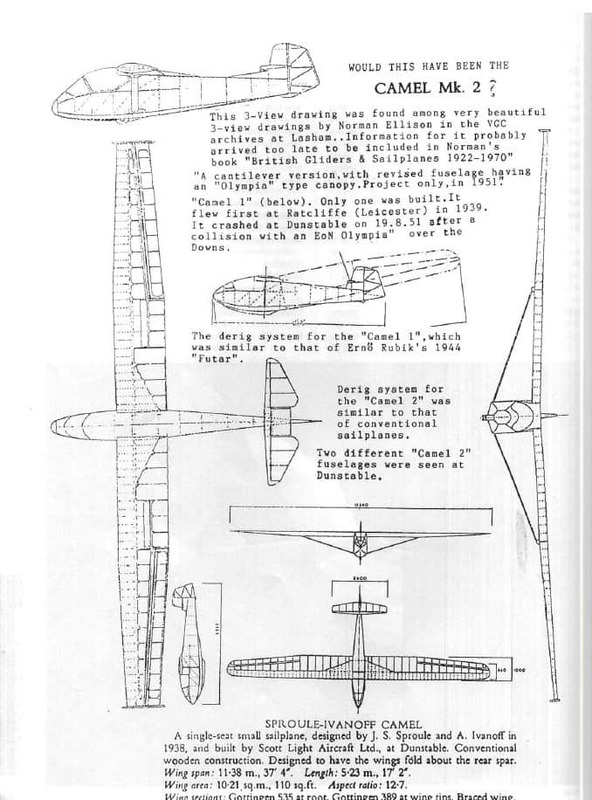 0·86 m/sec. 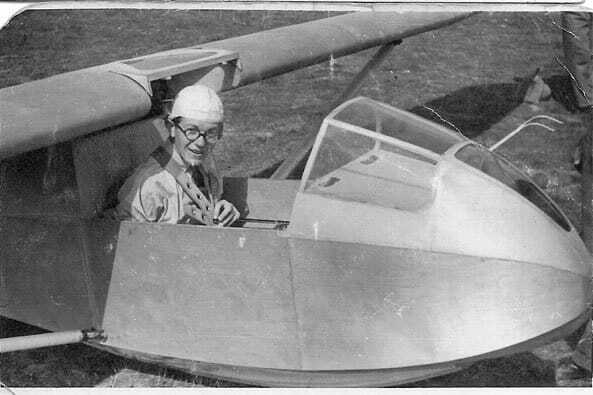 John Sproule poses inside his early Camel………..
behind an Avro Cadet from Radcliffe (Leicester). 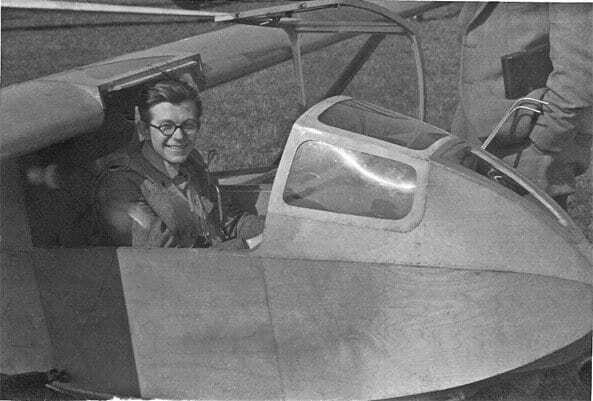 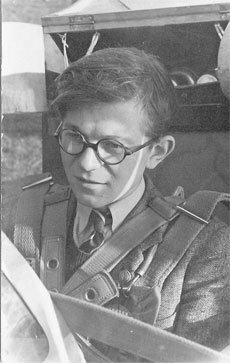 after the war and were subsequently lost when he passed away in December 1980. 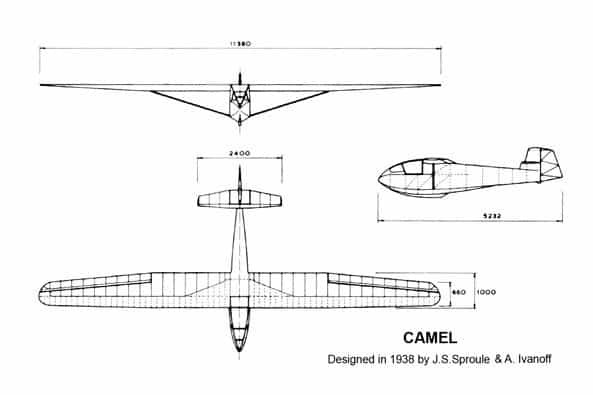 Plans appeared to have been well advanced for the build of a second Camel with revisions on the first type. 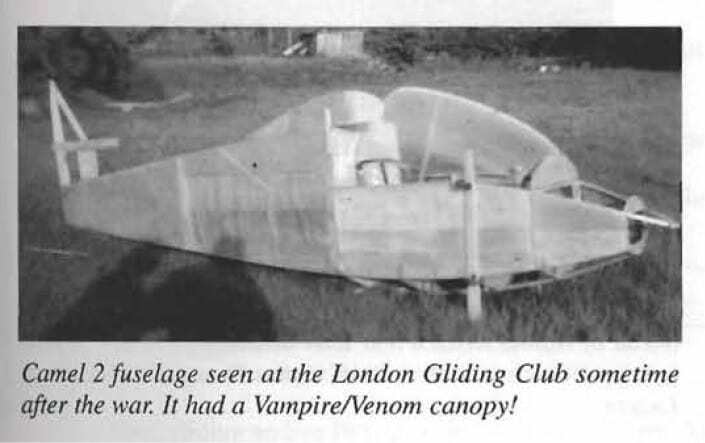 Here, in this drawing from the Vintage Glider Club, is the evidence that was found. 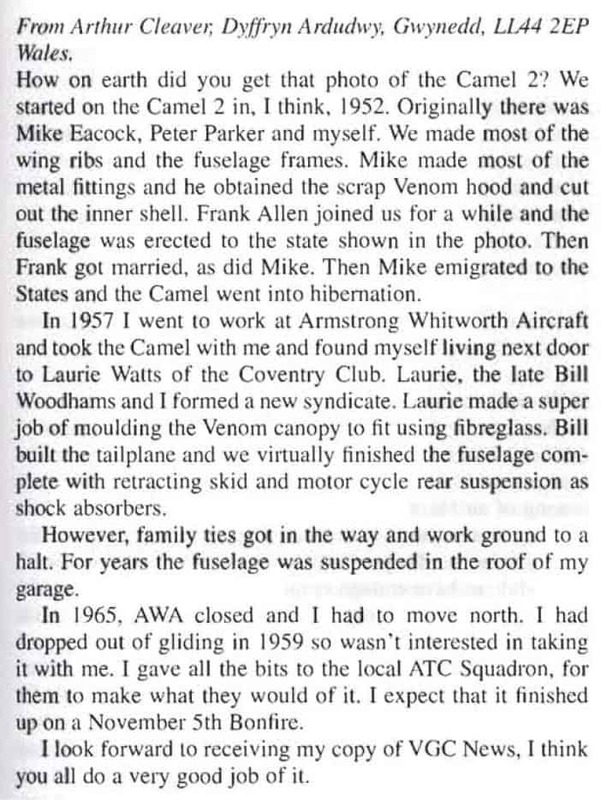 Following the publication, the final story of the Camel 2 came to light from a reader and is appended below the drawing.